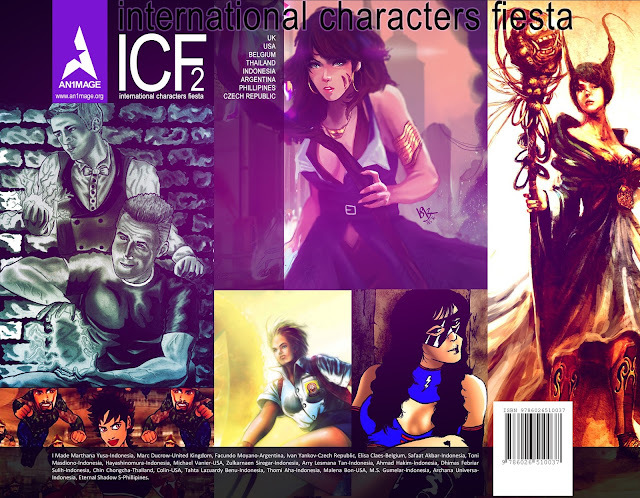 International Characters Fiesta 2 (ICF 2). Great characters design from various international artists such as artist from United Kingdom, United States of America, Belgium, Thailand, Indonesia, Argentina, Philippines, and The Czech Republic. You can download it free in Google Space, Issuu, Google Book, Academia, Playstore, for the Amazon distribution you need to subscribe to read it for free it's their default system subscribe to Amazon UK, Amazon German, Amazon French, Amazon Spain, Amazon Italy, Amazon Netherland, Amazon Japan, Amazon Portugal, Amazon Canada, Amazon Mexico, Amazon Australia, and Amazon India. You can order a print version by Print on Demand (POD) system, but do think carefully because it's free to download in an eBook format, why you need the print version? Please do think more than twice because it will cut down trees to print. The paperback full colour print version can be purchased at this link and click add to cart button. You need to provide the printing, packing and shipping costs. Remember, you don't have to print it on us, you can always print it by yourself. 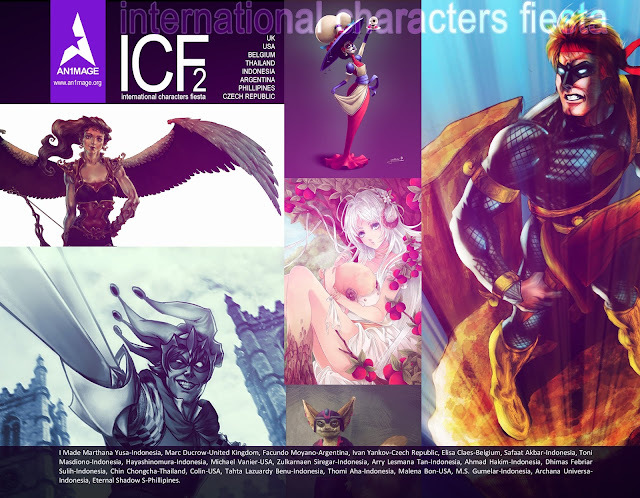 INTERNATIONAL CHARACTERS FIESTA 2 ARTISTS: I MADE MARTHANA YUSA, MARC DUCROW, FACUNDO MOYANO, IVAN JAŇKOV, ELISE CLAES, SYAFAAT AKBAR, TONI MASDIONO, HAYASHINOMURA, MICHAEL VANIER, ZULKARNAEN SIREGAR, ARRY LESMANA TAN, M. ULUL HAKIM, DHIMAS FEBRIAR SULIH, CHIN CHONGCHA, COLIN, TAHTA LAZUARDY BENU, THOMI AHA, MALENA BON, MICHAEL SEGA GUMELAR, ARCHANA UNIVERSA, ETERNAL-SHADOW-S. Missed the chance publishing your original characters? 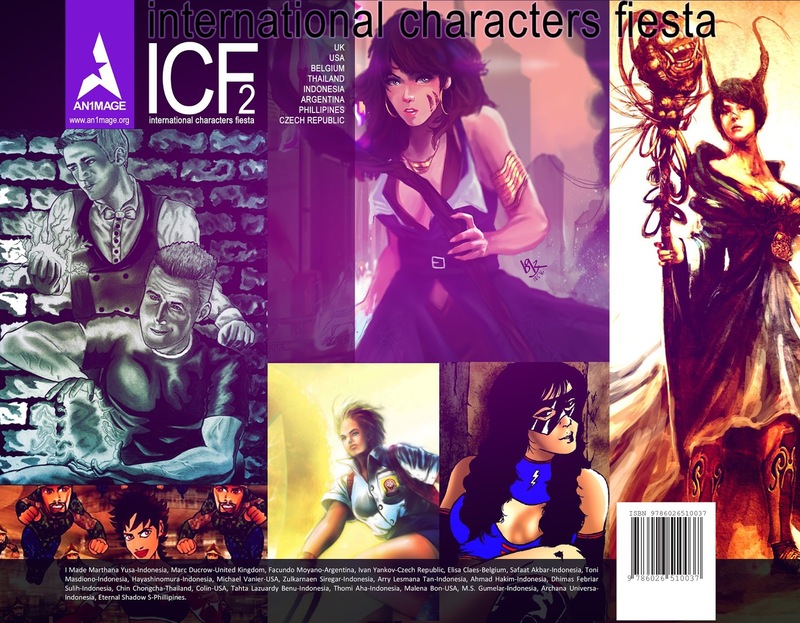 Join International Characters Fiesta artists Facebook group here in this link: https://www.facebook.com/groups/InternationalCharactersFiesta and you will be informed when the next ICF will begins.